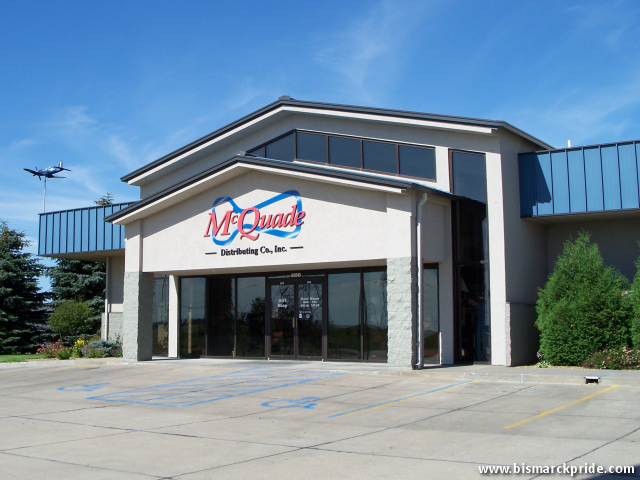 McQuade Distributing is a regional distributor of Anheuser-Busch products, based in Bismarck. The company was founded in 1947 as M&S Distributing by Sam W. McQuade and Stanton Billy Simonson upon purchasing Capitol Sales Company. McQuade purchased full interest in the company in 1951 and renamed it McQuade Distributing. The company’s partnership with Anheuser-Busch began in 1955. The company is perhaps best known for sponsoring a major softball tournament every summer since 1976. The McQuade Softball Tournament draws players from all over the country, and is the largest non-profit tournament in the country. It provides a major economic boost to the regional economy. Sam McQuade Softball Complex, adjacent to the VFW Sports Center and YMCA, was named for the company’s founder. The company also provides aluminum recycling services. Located on Memorial Highway, this building was recently torn down. It once housed Sioux Cycles.